Yummo Mummo | Elastic waist jeans! I know I just grabbed your attention with those three fabulous words – elastic waist jeans! I came across these beauties at Norstrom last week and loved a few awesome things about them. Firstly, they come in a variety of colors as indigo denim, black, mulberry and grey, AND the length is perfect for a shorty like me. At 165 cms, I need petite size pants as I have short legs. For reals, I measured my legs against my longer legged friend recently for interests sake and it was eye-opening. They are also available in a bootleg if you want to play with a little flare (And yes, I picked up a bootleg pair in indigo denim). Happy Days! I can totally endorse what the label says – “Looks like your favorite jeans, but feels like your comfy sweats”. Presenting the Jag Petite Nora Skinny // $79. High rise. For curvy body types: Order your normal apparel size. Note: because the waistband is designed for shaping support, it will feel tight while pulling up over the hips. For straight/apple-shaped body types: Runs large; order one size down from your normal apparel size. 0=25, 2=26, 4=27, 6=28, 8=29, 10=30, 12=31, 14=32, 16=33. Click HERE for direct link to the jeans on Nordstrom site. Check out the other colors, loved they grey too! I’m dressed and ready to go out for dinner with some fabulous mumma’s I meet up with once a month. I love the chance to wear a bold necklace and The Natalie necklace from Stella and Dot does just that. It can be reversed to show just silver/gold. Gorgeous leather strap for an edgy look. Wow, look at the time? I’ve turned my wrist into an arm party by adding the Renegade Cluster bracelet with my Stone watch, both from Stella and Dot www.stelladot.com/melissamenzies. This shark bite sweater is from last winter and I am so thrilled (see the thrilling look on my face), to bring it back out of storage now that winter is here. Perefectly paired with my new black Jag Jeans for $79 from Nordstrom! For my previous post on this sweater, click HERE. 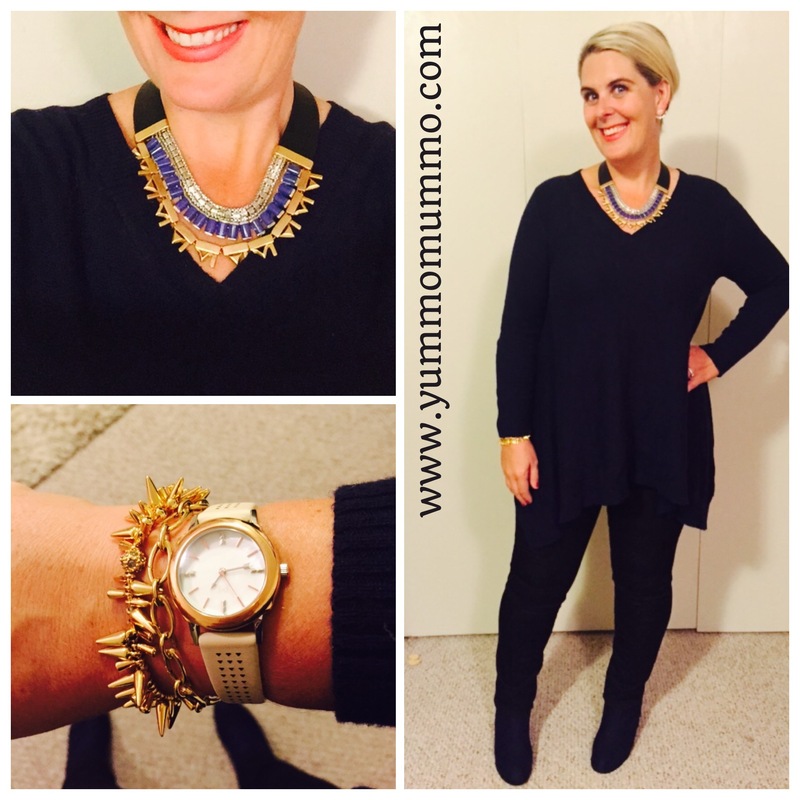 See my fabuloso navy blue booties that I am just absolutely adoring this Fall? Read my blog post on Booties, including these ones HERE. 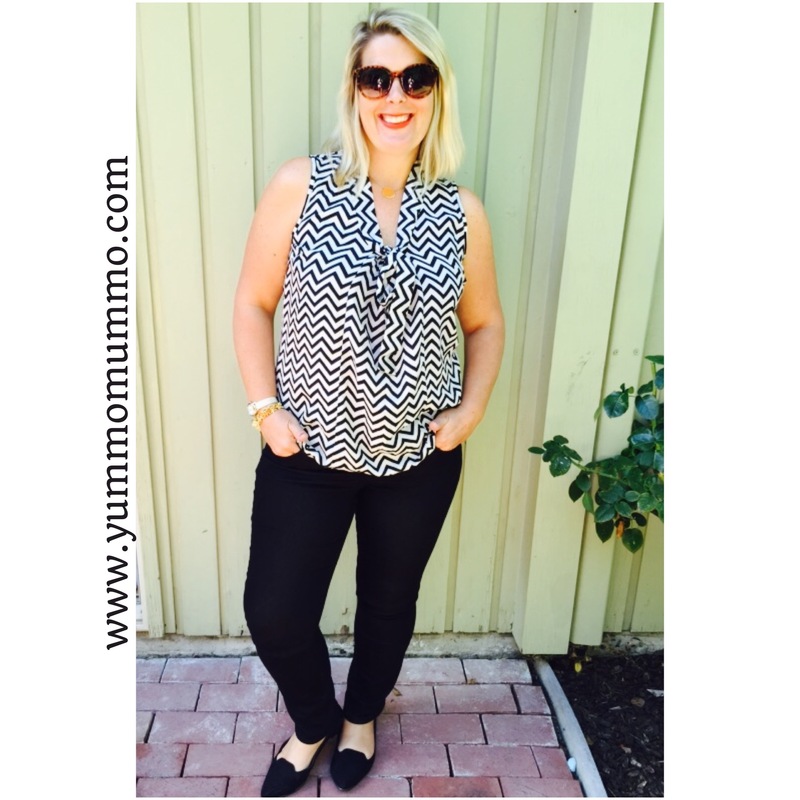 Love this chevron blouse, perfect for a #monochromemonday style challenge. The jeans are the perfect comfortable pairing. Add some simple black pointy toe ballet flats. I wore this outfit for the morning to a casual business planning meeting. Classic chambray/denim shirt on a black base of black jeans and a black tee. It doesn’t get easier than an outfit such as this. Yummo Mummo can do wardrobe for you…….. I can’t wait to help you feel fabulous and make the most of your wardrobe. Check out my WARDROBE CONSULTATIONS tab. « 30+ outfit inspirations from October. 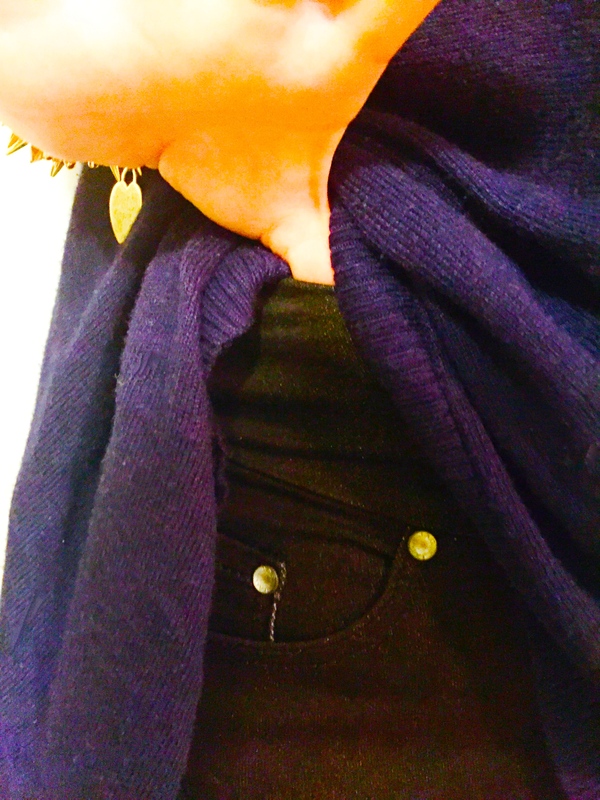 Hooray for anything stretchy in jeans, that combination of firm fit and comfort is such a winner ? Those sound sooo comfortable; and pretty great price point for a nice pair of jeans too! What a great jean find for your body type!! I love reading diverse women experiences with jeans instead of just the skinny jean type!! I have two pairs of paints from Uniqlo that have an elastic waist band. One pair looks very dressy, but feel so comfy with the elastic! 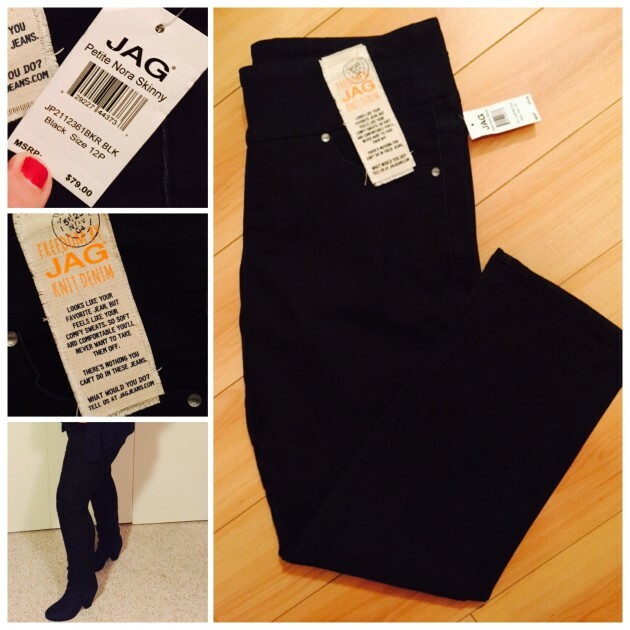 You inspired me to try Jag jeans and they are on sale today at Macy’s. Awesome!